When I was thinking about the Macrobiotic diet, I thought it mainly was about “getting little to eat”. Untill I experienced what exactly it was and found out that in fact it was much more than a diet and was one of the most tasteful types of food I ever tasted! Macrobiotics originated in the Far East. Around 500 B.C.E. when one of the world’s oldest medical books was written, The Yellow Emperor’s Classic of Internal Medicine, a compilation of the medical wisdom of ancient China. The book states that people who lived in harmony according to the laws of nature, balancing yin and yang energies, lived long and healthy lives. The development of macrobiotics as it is known today is credited to George Ohsawa (1893–1966). George Ohsawa recovered from tuberculosis in 1911 using a diet recommended by Dr. Sagen Ishizuka. Ohsawa was so grateful for his new lease on life that he dedicated the rest of his life to continuing Dr. Ishizuka’s work. Ishizuka’s vision consisted of eliminating a diet of meat, dairy products, potatoes, eggs, white bread, simple sugars, and the other highly refined foods. He contended that eating this way goes against the natural order of the universe and humans’ immediate environment, thus causing people to lose their physical, psychological, and spirituality and harmony. A macrobiotic diet is defined as eating in balance between extreme yin and yang energies. For example, animal meat is considered an extreme yang food and creates natural strong cravings for extreme yin foods, such as refined sugar in cookies and cakes. Extreme foods create sickness and are the body’s warning that there is an imbalance. The imbalance causes the blood to become too acidic, creating an environment in which diseases can thrive. To avoid these undesirable conditions, the consumption of whole, unprocessed foods grown without pesticides and other chemicals is recommended. These consist of earth and sea vegetables, whole cooked grains such as brown rice and millet, bean products, nuts, seeds, and occasionally fish. The standard macrobiotic diet consists of 30 to 50 percent whole cooked grains and whole grain products, such as sourdough bread and pasta (including udon noodles); 20 to 30 percent locally grown organic vegetables; 5 to 10 percent beans such as adzuki and lentil; 5 to 10 percent soups, including miso and vegetable; and 5 percent condiments, such as sea vegetables like wakame and kombu. Recommended macrobiotic foods and their portions vary according to a person’s physical and mental condition, climate, and age. For example, someone with a slower metabolism may benefit from eating fewer grains and more vegetables. Macrobiotics has helped thousands of people to discover a simple and natural way to establish and re-establish good health. 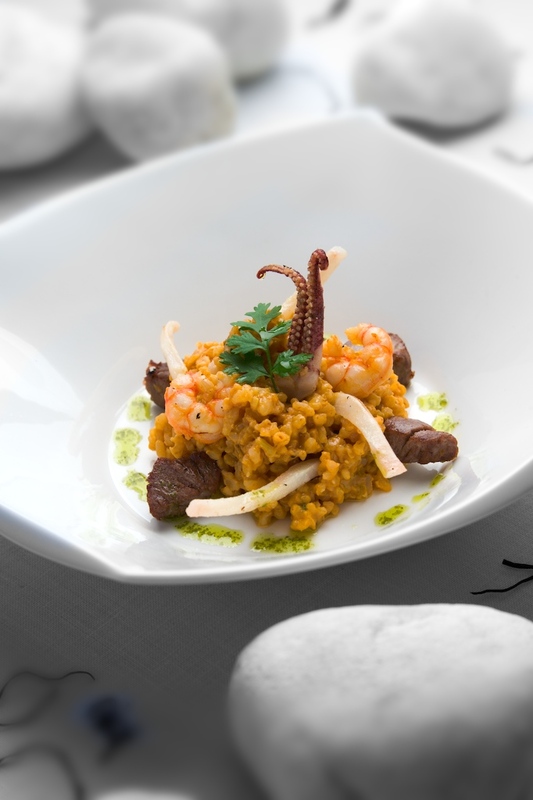 In Spain there is one excellent Wellness Clinic specialised in Macrobitic Cuisine; SHA Wellness Clinic. If you go here, you will be surprised by how tasteful and beneficial the Macrobiotic food actually is! Click here for more info! Global Wellness – Spa around the world! How Chocolate CAN be Healthy!